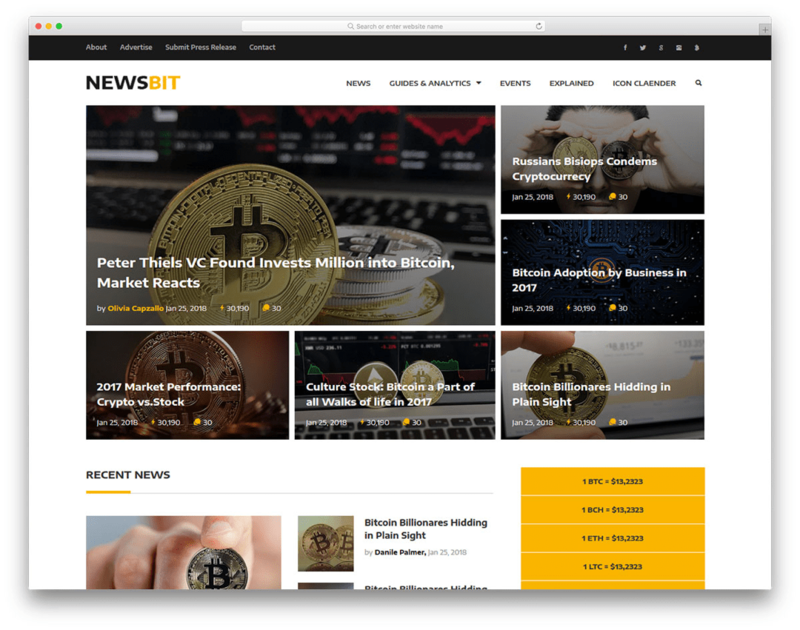 Newsbit - the perfect platform for a blog related to cryptocurrency. It is made specifically with that in mind! With Newsbit you get every must-have functionality under the sun. Responsive, beautiful and compatible with all browsers. That’s just the tip of the iceberg! With Newsbit you can utilize widgets that will add both form and function to your blog! Live cryptocurrency exchange rates and worths, and others tools! Become an authority in the field with an attractive and professional looking website! Newsletter functionality, post pinning, SEO friendly code, social media integration, and other powerful tools that will keep you on the bleeding edge.